Looking for something to do during the holidays? Why not give your Christmas tree a bit of your personal touch? 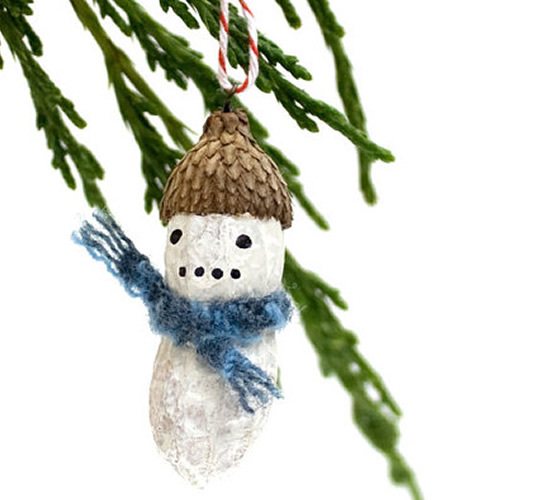 These ornaments are unique, clever, and fun to make! This one made us laugh! 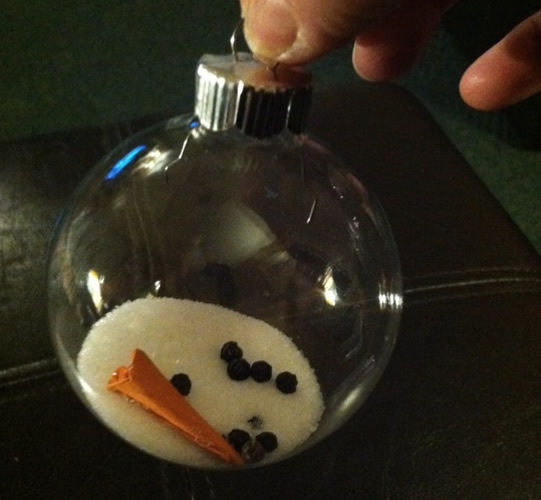 All you need for this is a clear spherical ornament, some salt, a couple of peppercorns, and some orange paper. You start with a roasted, unsalted peanut and you transform it into a snowman with acrylic paint, sharpie marker, bent wire, boiled wool, bakers twine, acorns and fusion glue. You will feel like a little elf working in your little workshop with your little tools making them come to life. Santa would be proud! A very simple one for the kids! Take golf tee, add a white jaw breaker (or other small white sphere), and a little plastic hat!